I was always under the impression TV schedules were skewed in favour of the winter months – when people are forced in front of the box by our inclement weather – while summer programing is generally thinner to accommodate for holidays, sporting events and people generally preferring to be outdoors. However, the last six months on the small screen have been rather dissapointing – bar Brooker’s latest How TV Ruined Your Life, Human Planet and Bruce Parry’s trip to the Arctic – forcing me to watch the best the U.S. has to offer; Mad Men and Boardwalk Empire. Attempting to fill the hole left by successive best shows ever The Sopranos and The Wire, these two pretenders have that same great depth of character and plot that comes with being able to spread a series out over 12 episodes; each one feeling like its own separate mini-movie. There is always progression of the overarching narrative, but each episode leaves you feeling satisfied in its own story, rather than the constant cliffhanger-ing of the other great American drama trend created by Lost and its impersenators. The vast amounts of money HBO staked on their latest epic Boardwalk Empire appears to have paid off, with the lavish sets and period detail more than matched by Steve Buscemi’s central performance and the standout acting of those around him like Kelly McDonald’s Margaret Schroder, Michael Pitt’s Jimmy Darmody and Michael Shannon’s Nelson Van Alden. A second series was commissioned after the first episode drew 4.8 milion U.S. viewers, and thankfully the same can also now be said for the other outstanding series of recent years; Mad Men. After protracted negotiations between creator Matthew Weiner and network AMC over its plans to trim the running time for adverts and introduce more product placement, it was confirmed that the show will be back next year. This will be of great relief to anyone glued to series four, as it would have been maddening (pardon the pun) not to have seen how Draper Cooper Sterling Price dealt with the end of the swinging sixties. Mad Men is the perfect example of how good drama can be, lacking the violence of peers and moving at a glacial pace, it instead entertains and involves the viewer by getting the fundamentals spot on; great writing, directing and acting which characters you really care about. 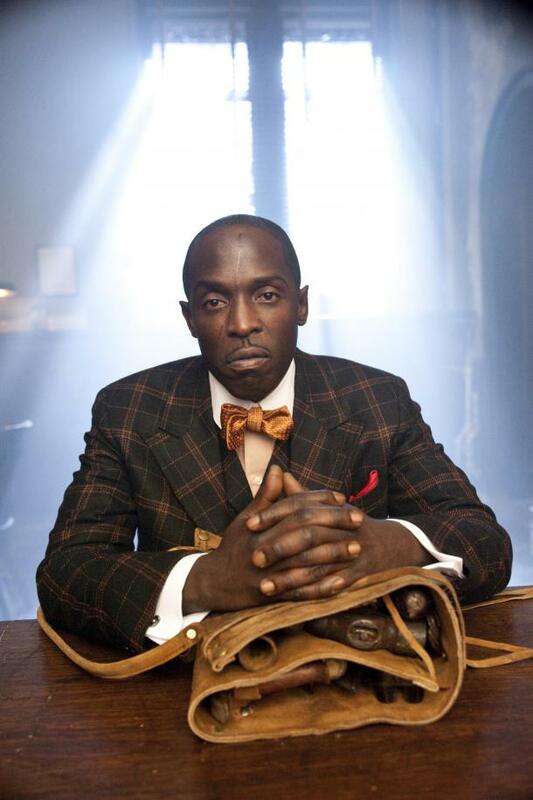 While British dramas usually only have half the episodes to weave their storylines, we’re certainly not short of talented writers, directors and actors this side of the pond; as demonstrated by the number of Brits that put in star turns and accents for The Wire. In the gap before the above series’ return the BBC appear to have taken the initiative with their New Drama commissions; threatening to keep me inside during these sunny months. The Shadow Line is the first up, and after only a few episodes has me completely gripped. 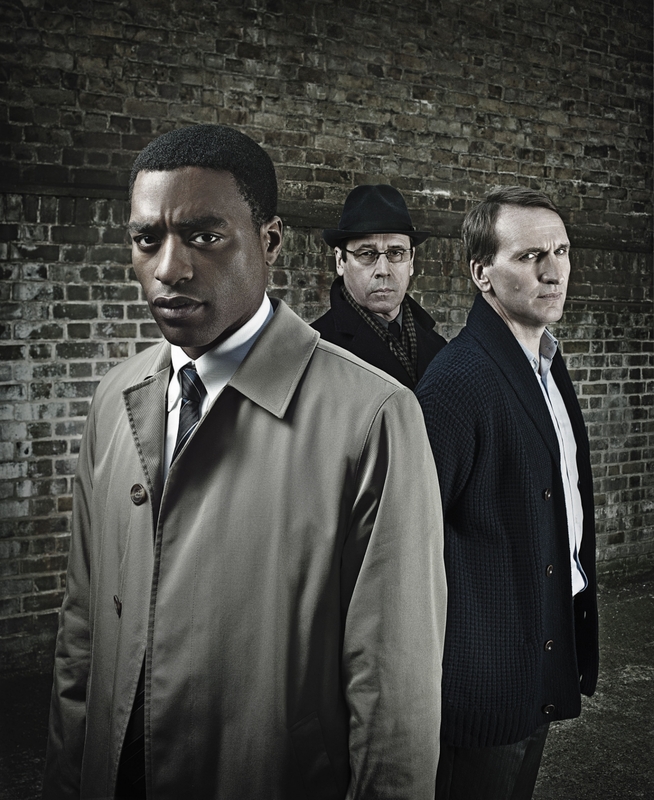 Comparisons with The Wire are definitely valid, as the show is all about how both sides of the law deal with the same crime, letting the viewer make allegiances with flawed heroes in the both Met and London’s criminal underworld. Again, intricately built characters are the key, whether it be Christopher Eccleston’s unwilling new leader doing ‘one more job’ for his Alzheimers suffering wife, Chiwetel Ejiofor’s possibly crooked amnesiac detective, Stephen Rea’s sinister overlord, or Rafe Spall as the brilliantly maniacal son of the slain boss at the heart of the murder mystery. The beeb’s other drama being drawing favourable comparisons is The Hour. Set in around the 1956 launch of the station’s topical news programme of the same name – as opposed to Mad Men’s early 60s advertising agency – it stars Jimmy McNulty, or should I say Dominic West, as well as rising starts Ben Wishaw and Romola Garai and is aparently coming to our screens next month. Of course it’s not just drama that the Big British Castle is smashing the competition with. Tonight, everyone’s favourite deceptively bumbling documentarian Louis Theroux, visits the Miami mega-jail in the latest of his sporadic films tackling ever more serious subjects. Then on Monday, the brilliant BBC blogger and documentary maker Adam Curtis returns to our screens with his latest through-provoking film All Watched Over by Machines of Loving Grace. So far all we’ve got is a great little trailer and an intriguing Guardian article laying out the premise of human interaction with technology, but if it’s anything like The Century of Self or The Power of Nightmares, then expect a fascinatingly subversive feature. Another thing making me happier to pay my license fee is a new Stephen Fry vehicle; Planet Word. According to the blurb, he’ll be of exploring linguistic achievements and the development of spoken word skills, presumably in various tenuously justified far-flung locations a la Brian Cox. Following the dreamy doctor’s Wonders of the Universe into space is base-jumper Felix Baumgartner and his incredible journey towards a record-breaking freefall from the edge of space; documented in Space Dive. There’s some decent programming to be found elsewhere in the channels – on a rare occasion venturing down the freeview menu I found acclaimed U.S. zombie survival show The Walking Dead and silly spy-spoof cartoon Archer on the ususally unwatchable Five USA – but generally it’s Auntie who’s making the best effors at matching the money America’s prepared to throw at quality telly. * whilst basking in the BBC glow after writing this post I stumbled upon an advert for the return of BBC3 schedule-ruiner Two Pints of Lager and a Packet of Crisps; almost enough of a travesty to make me delete this post in anger.